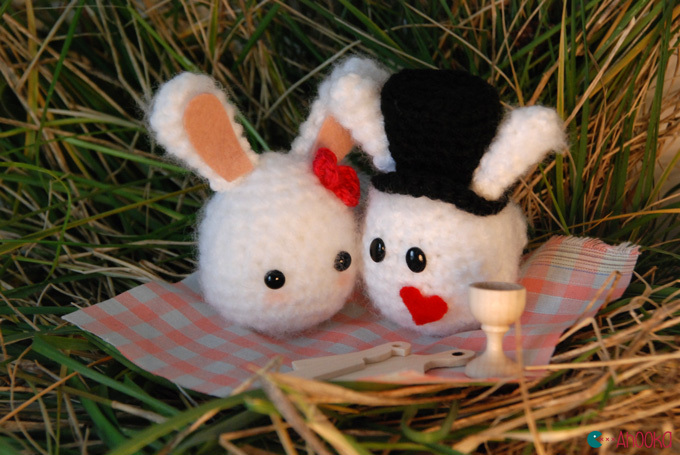 Ahooka created these crochet Valentine’s Day Bunnies. The pattern is available in French and in English and photos of the steps are included. Click here for the pattern.